With most of our shore fishing occurring in the dark at this time of year, this is simply brilliant. 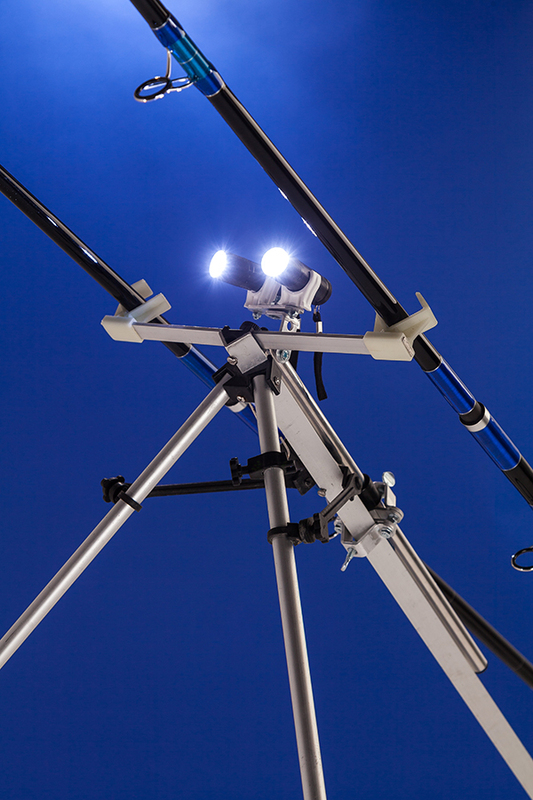 It’s a multi-adjustable twin-torch for illuminating the rod tips and fits most popular tripods equipped with a V-angle main leg. It’s easily adjusted for length and angle, even if you’re using two rods with different lengths. Not only does it save your headtorch power, it’s sociable, too, as you won’t be blasting your mates’ eyes each time you turn around to chat. The torches are clipped into position securely and operated by AAA batteries that are supplied. The whole outfit is easy to fit in just a few minutes.